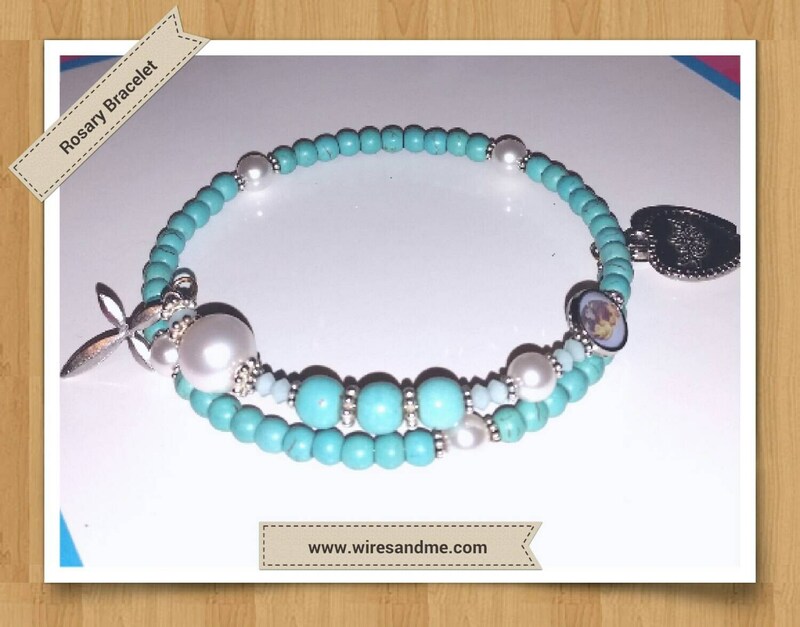 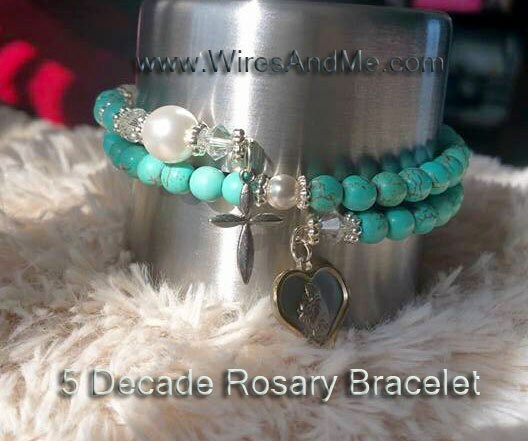 The rosary beads are made of turquoise beads. 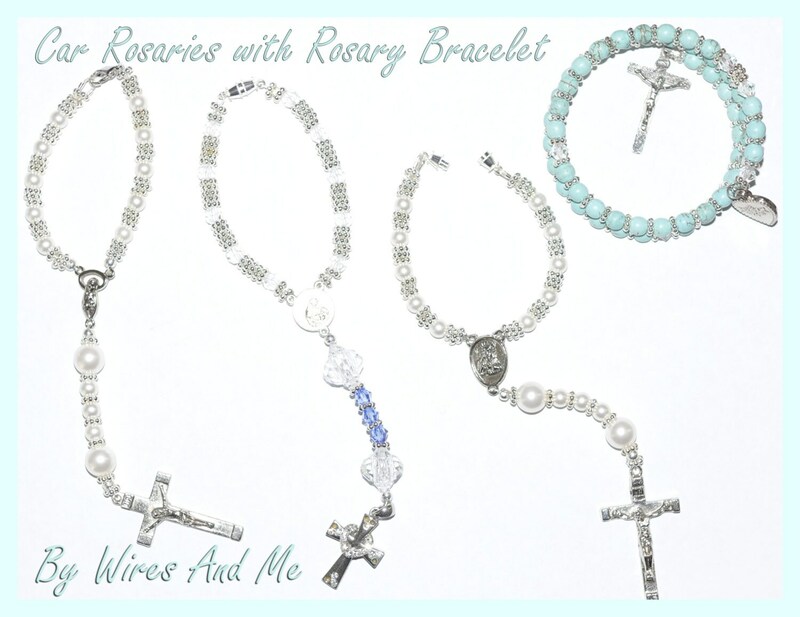 The rosary is also made with silver daisy bead spacers and with genuine Swarovski crystal pearls. 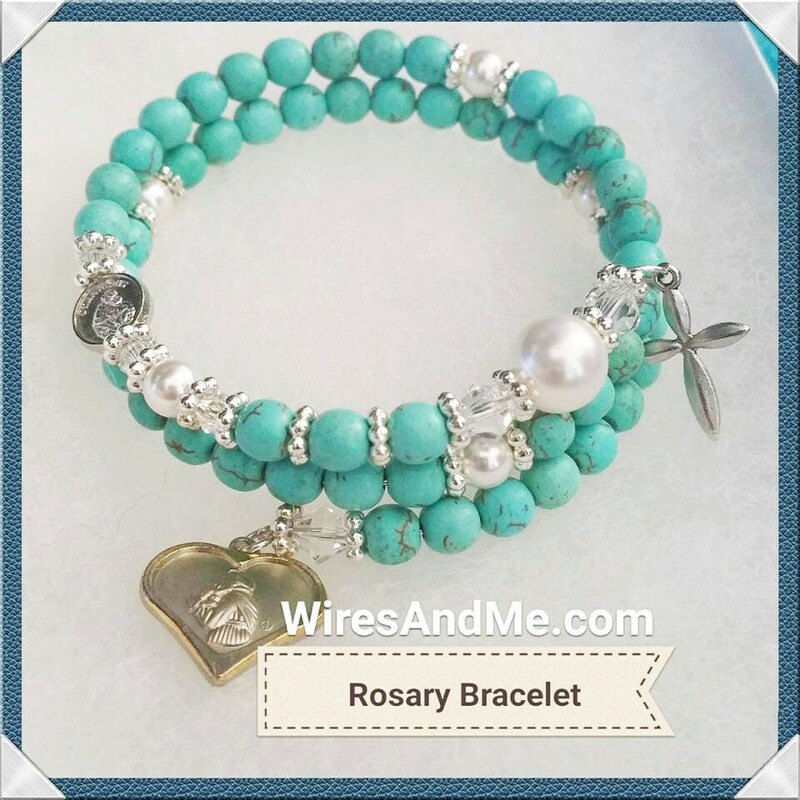 This is a 5-decade rosary bracelet with crucifix and a medal (medal design shown may be different,) of St. Anthony de Padua - Doctor of the Church, Patron saint of lost and stolen articles, was a powerful Franciscan preacher and teacher; also known as Saint of Miracles). 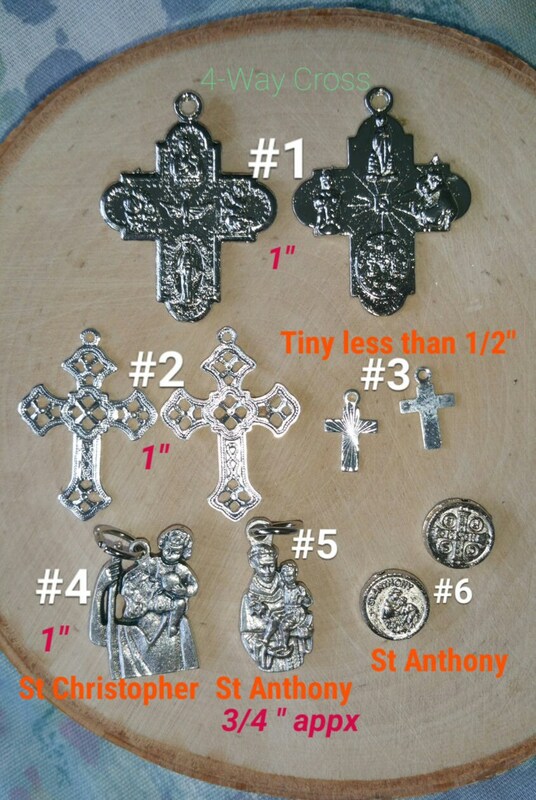 Can be Personalized to any Name or Name Initial you Wish...a Perfect and unusual handmade gift for all occasions of any age... All orders comes with FREE Jewelry Gift Box for easy/instant gift giving!